This double sided White Rose Round Hanging sign is a slight variation of other White Rose signs. There is another sign that is a different size and has a yellow boarder rather than a black boarder. 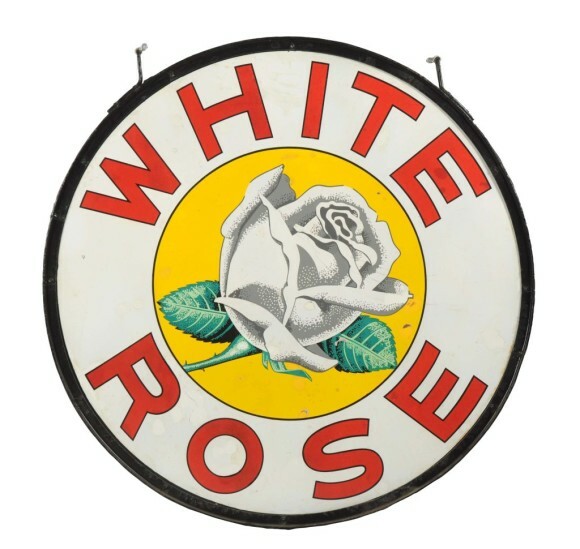 This sign has red text that says “White Rose.” The white rose in the center is overlayed on a yellow background. The boarder, as forementioned, is black.